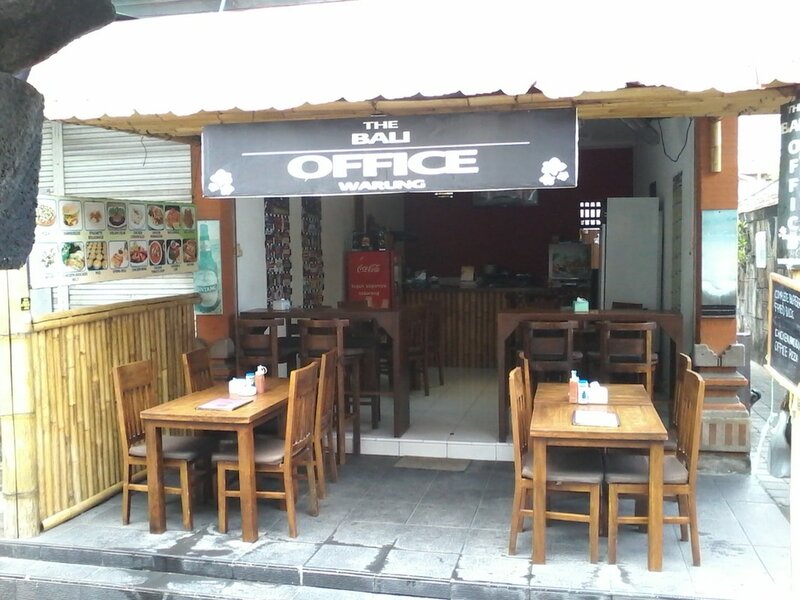 The Bali Office Warung is our drop off pick up point and our main Bali Board Storage Room is to the left of the picture and we are opposite The Hotel Flora Kuta. The original storage company in Bali - 6 years and still going strong is a legitimate registered business (UD - Usaha Dagang)! We store everything and anything. Whether it be your bags or luggage for a few days whilst you explore other parts of Bali. Or, long term surfboard/luggage storage for those travelling often, to and from the Island of the Gods. We provide a free pickup and drop off service for Kuta and surrounding areas (1 - 2 items only will depend on sizing so please enquire first!) and are open for storage 7 days a week. This can be arranged to fit in with your holiday plans. We have finally found a new home as our Kuta Drop Off location! This is at The Bali Office Warung (cafe),and also our MAIN BALI BOARD STORAGE ROOM is next door,we are just off Jalan Bakung Sari, and our laneway is called Gang Biduri (opposite The Flora Hotel), please go to the location tab for a map and further contact details. Please make sure to book in your storage items ahead of time to arrange a pickup from us. Pick up of multiple items from elsewhere on the island, or those that are oversized or out of office hours (8:15am to 10:30pm) can be arranged at an reasonable additional cost. Please get in touch with us for more details. You should never leave your Luggage unattended as this Happens at many Hotels and many staff go in and out of the room your Luggage is being stored in. You can have the sound knowledge that your possessions are SECURE and SAFE with us. With over 6 years in this business, we guarantee your Luggage is in the best hands. And you can relax knowing that. Any questions & all bookings please email baliboardstorage@gmail.com , WhatsApp 6281236726215 (call/ text) or go to our contact form on this site. When possible please try and give us 24 hours notice for both the item drop off and pick up. We look forward to hearing from you!